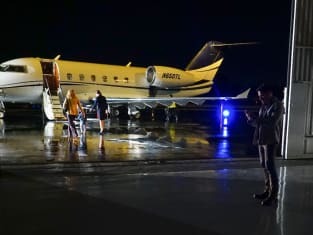 Knowing how things on this series have always played out, I'm reluctant to get excited about the end of Revenge Season 4 Episode 20. Yes, the demise of Victoria Grayson is worth celebrating. She's been a thorn in ALL of our sides since killing Aidan Mathis and forcing a Jack-Emily ending upon us. And the end, as in The End, is definitely what it looks like for Revenge right now. 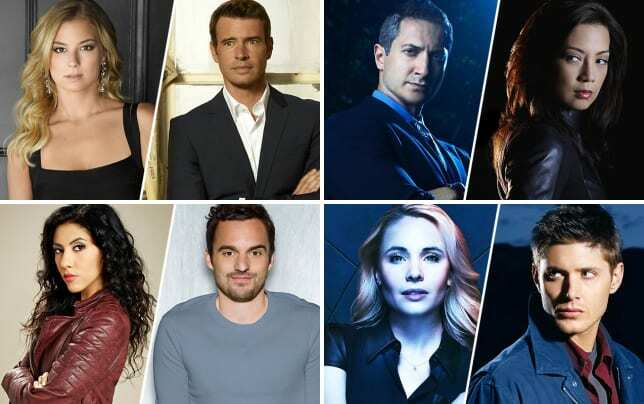 With no official word out on the fate of Revenge (still, I know) it's hard not to watch these few remaining episodes without getting the sense that things are definitely being written with a series finale in mind. Tonight's episode might as well have been retitled "Nolan Tries To Tell People How To Feel." That's sort of his thing, I know, but sometimes it's just too much. First he got mouthy with Jack, telling him that Emily/Amanda loves him and being told never ever to utter those words again lest he suffer the wrath of his best friend/bartender who also used to be a cop and who probably works out. It's been a long time since you've been in a boxing ring, Nolan. Jack could totally take you. Heed his warning, okay!? When talking to Jack didn't work, Nolan decided that he'd go to Amanda/Emily instead. Why not, right? I didn't mind the scenes with Nolan helping Emanda come to her senses. He's always done that for her. She so rarely shows emotions and Nolan is one person who is most capable of drawing them out of her that it worked for him to get her to open up about why she shut Jack down when he came to her door to tell her how he felt. In short, she doesn't feel worthy of his love. She doesn't feel like she deserves him. She's right. She doesn't. But she has it. Ben overhearing the conversation was a ridiculous attempt to create tension in what was already a dramatic scene, effectively cutting him out as a possible suitor for Emanda when, truth be told, he's probably the BETTER suitor for her because he provides the opportunity for her to live a new life completely unencumbered by her past. It's just that that's not what she seems to want. If she even knows what she wants at all. She went to the air field and arrived on the tarmac just as Jack's plane took off. Too little, too late. Somehow, probably magic, Mason Treadwell knew she would be there. His voice-over, about how she never stopped to count the cost of her revenging and think about the fact that she was asking so much of those she called friends, taking from the constantly, without any promises to give anything back has now cost her friends and family and created enemies. That string of scenes might have been my favorite of the night because of the desperation held within the words and images. Emanda has really, really screwed up in her day and now she's moving into what might be some of her final moments to make it right. David Clarke has lymphoma. He's undergoing treatment, but it's clear he's not going to be around. The foreshadowing about his future was a giant neon light effectively saying "DRAMA! DRAMA! DAVID CLARKE IS NOT GOING TO LIVE! DRAMA!" It makes sense. If Emanda doesn't deserve Jack, she certainly doesn't deserve a happy ending where she gets her dad back and they spend their mornings walking the beach and fishing until he's an old, old man wearing rolled trousers and fishing his teeth out of a jar on the counter every morning. She hasn't earned that. Some might argue that she earned that with David the minute she was taken from him and brainwashed into believing he was a terrible person who really blew up that plane. Those people would not be wrong. But that sort of thing only comes with repentance and penance and Emanda has done neither. She feels the weight of all she's lost, but she's never really apologized for some of the people who've gotten in her way. Victoria hasn't either, which is what makes her apparent suicide seem...I have no idea. It doesn't feel earned, if that makes sense. Somehow. It's like her decision to go back to Grayson Manor and blow herself up just doesn't seem like a thing she would do. She's suffered worse press than this, right? It was hard to get a read on Victoria tonight in order to decipher whether she went into the Manor and blew herself up in her chair for memory's sake, as an, "if I can't have this life, neither can you," or if she was trying to set Emanda up for her death. Either are plausible and equally as likely. Maybe it was a bit of both. Either way, Victoria's gone, for now. Maybe. 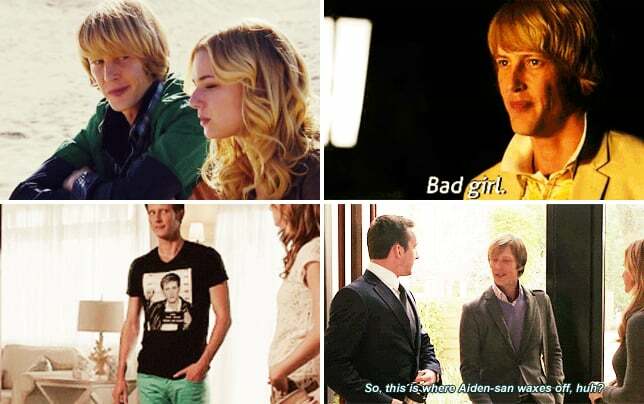 We'll find out on Revenge Season 4 Episode 21. Margaux forgiving Louise for the sake of Victoria: WHAT HAS VICTORIA EVER DONE FOR MARGAUX!? OMG. Louise thinking she would actually be able to get Nolan to confess so she could record him. HAHAHA. Tony's cute. Nolan seems happy with him. Let's go, Nony! Tolan? Tonan? Meh. Whatever. Yes, but how DID Mason Treadwell know where Emily would be? What did you think of "Burn?" Is Victoria Grayson really a goner? How did Mason Treadwell know where to find Emily? Take a little time to watch Revenge online and then sound off below with your comments!